my scandinavian home: Have a lovely reflective weekend! Have a lovely reflective weekend! This picture is so beautiful. 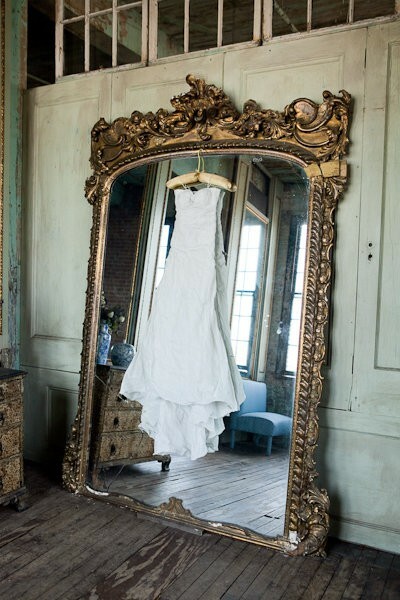 It inspires me to hang my vintage-style lace wedding dress somewhere in my home. If only I had a wonderful mirror like this! Sadly I have no idea where this picture comes from. I found it on Pinterest (click logo to the right of this page). If you know I'd love it if you could leave a comment! Have a lovely couple of days and see you Monday! It is the first time I visit your blog and I must say that when I read that you love swedish design I become so proud of my country. Even tough we are such a small country our style is loved by many people around the world. That's great! Have a wonderful sunday in Skåne!